There will be 13 Democrats from Florida when the House convenes in January, more than all but two states. With those numbers comes optimism Florida Democrats can influence the agenda in Washington. Florida Democrats in Washington could only watch when the Republican Congress decided against new gun legislation after a shooter killed 17 students and staff at a Parkland high school last year. Nor could they force action to combat rising sea levels off Florida's coastlines. Leaders have already signaled they will use the majority to advance legislation stymied by the GOP stronghold of Washington the past two years, like getting dark money out of elections, and to force conversations on health care costs. There will be 13 Democrats from Florida when the House convenes in January, more than all but two states. Floridians are in position to take senior roles on some critical committees. Senior committee roles are expected for U.S. Reps. U.S. Rep. Alcee Hastings (Rules), Ted Deutch (Judiciary), Debbie Wasserman Schultz (Ways and Means) and Kathy Castor (Energy and Commerce). With those numbers comes optimism Florida Democrats can influence the agenda in Washington. "Being in the minority is entirely different. It's much easier. You play critic," said Castor, a Tampa Democrat. "This is a major responsibility and I've been struck by the conversations how seriously they've been." U.S. Rep. Nancy Pelosi, the current and perhaps future Democratic leader, has assured her caucus she will bring back a House committee focused on researching and combating climate change, a top concern for Florida members. And she told the New York Times that Democrats will bring to the floor gun legislation and other progressive priorities, even if it's without any Republican support. Deutch, who has unsuccessfully filed a handful of gun bills since the Parkland shooting, said he expects the new House to move on at least two gun measures supported by a majority of Americans: universal background checks and a ban of so-called "bump stocks," a firearm attachment that allows a gun to fire at a near-automatic rate. "If everything that's happened isn't going to move those folks, I don't know what will," said St. Petersburg's Democratic Mayor Rick Kriseman. Voters in many Congressional districts clearly indicated this month that they wanted change after the last two years. However, it's less clear the changes they are seeking. Democrats are hungry for successes on health care and voting reforms, but are also anxious to flex the legislative branch's power over the executive, which they say has been lacking under the GOP. Pelosi has cautioned against using the "i" word: impeachment. 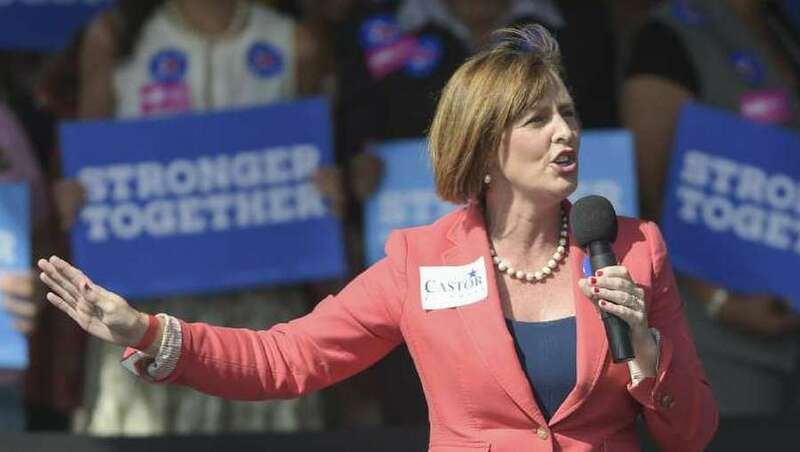 "I didn't hear anyone say, 'Kathy, go right back up and start impeachment hearings,' " Castor said. "We've got to wait for (Special Counsel Robert Mueller's) findings." Tampa and Hillsborough County would have plenty to gain from it: Voters there just approved a 30-year, one-cent sales tax for transportation that could unlock millions of dollars in federal grants. "That's the best thing that can come out of our control of the House," Buckhorn, a Democrat said. "Most Americans would choose progress over gridlock." Congress can handle both responsibilities, said Deutch, a member of the judiciary committee that will likely play a key role in any review of Trump's actions as a candidate and president. "The president campaigned on an infrastructure program and Democrats are ready to work with him," Deutch said. "It doesn't mean that the house shouldn't also do its job of providing oversight of the administration." "It does take leadership on both sides though," Bilirakis said. "They've already said the direction they're going to go on subpoenas," said Greg Steube, a Sarasota Republican and state Senator now headed to Congress. "Americans don't want this kind of thing coming from leadership in Washington."